The project is to be financed by Scottish company Cairn Energy, famous for their controversial decision to drill for oil in the environmentally fragile Arctic Circle. The company has been given the go ahead by government officials in Madrid amidst strong local opposition. In an almost unanimous show of unity, over 50 organizations across Ibiza and Formentera, including local government institutions, political organisations, town halls and local businesses have got together to form the ‘Alianza Mar Blava’ (The Mar Blava Alliance). Their objective? To stop the oil exploration going ahead. To begin with, they contest that there is a real danger of a potentially catastrophic oil leak deep beneath the sea, like the one seen in the gulf of Mexico during 2010. It was one of world’s worst environmental disasters which saw tragic, widespread destruction of coastline along with the death of countless fish, mammals and birds. Disasters like these can be caused by the acoustic surveys used in ‘phase one’ of such exploratory projects, emitting sound waves that can reach between 10,000 and 100,000 times louder than the engines of a jet plane. There is wide scientific consensus that such sound levels devastate marine life, interfering with ability to orientate, breed and navigate. Eggs and larva are destroyed and internal bleeding, injuries and eventually death, are the result. The proposed site of the oil rig also happens to be smack bang in the path of the western Mediterranean’s migratory corridor used by whales, dolphins and turtles. Quite aside from being an ugly eyesore on the beautiful Ibiza coastline, the oil rig would threaten their survival. Finally, the ancient marine meadows of Posidonia seagrass, UNESCO world heritage site and what keeps the seas crystal clear and clean around Ibiza and Formentera, would be irrevocably damaged. The accumulation of toxic chemicals used in the second and third ‘phases’ of the UK energy giant’s project would be inevitable, say the Alliance. Here at Ibiza Spotlight, we feel a responsibility to the island. Ibiza has been very good to us all during the decades we’ve been here, helping to share her beauty and magic with the world. 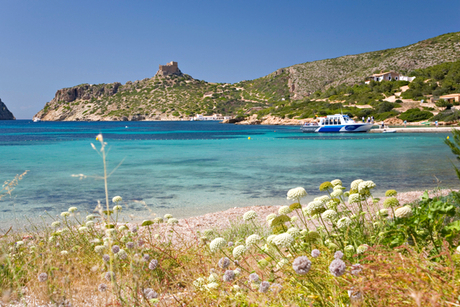 We feel compelled to add our voice to those who want to see Ibiza remain unspoiled. So ladies and gentlemen, if you too love Ibiza, her natural magnificence, her beautiful beaches and healthy, clean seas, we invite you to help to protect her. In Ibiza right now? Come to Vara del Rey, Ibiza Town this Saturday, Jan 25th, between 11-17 hrs with your passport or DNI. 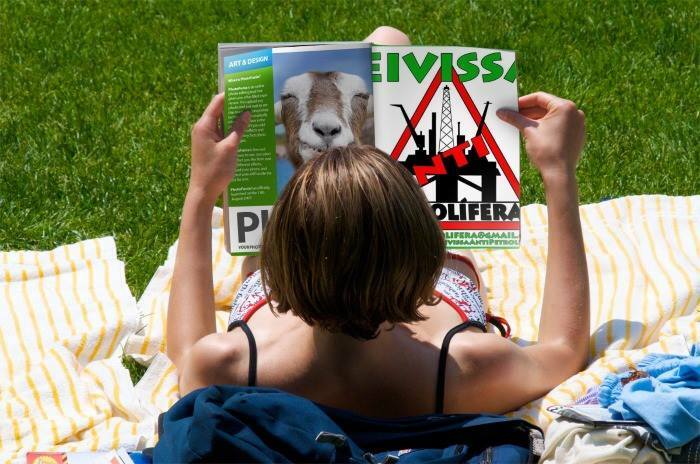 This will enable you to sign an official petition requesting that the Spanish authorities withdraw their support for the oil exploration project. This is the best help you can give! The official petition is important because decision makers are legally obliged to consider it. We need 30,000 signed documents for the petition to succeed. Not in Ibiza but still want to sign the petition? You can download it from here in English, Spanish and German. NOTE! It has to be printed off 3 times. Although you can read the form in English and German so that you understand, you must print and sign this SPANISH version! You sign each copy, then send it, along with a photocopy of your passport to: WORLDFAMILYIBIZA, APDO 160, 07810 SANT JOAN, IBIZA, ESPAÑA. This needs to be sent by Friday, Jan 31st at the latest to be included in the final count. No access to a printer (sob!) but still want to help? You can sign an online petition at Change.org here. This petition has no legal bearing unfortunately, but it does still help to indicate public opposition to the oil rig. It’s also in Spanish, but google translate can quickly help with that! Petitions aren’t really my thing, is there anything simple I can do? Yes! Share this article on your social networks (Facebook, Twitter, Google+, Instagram etc) and help to raise awareness. We offer our sincere thanks to those of you that take the time to act. Together, let’s keep Ibiza clean, safe and beautiful for generations to come. 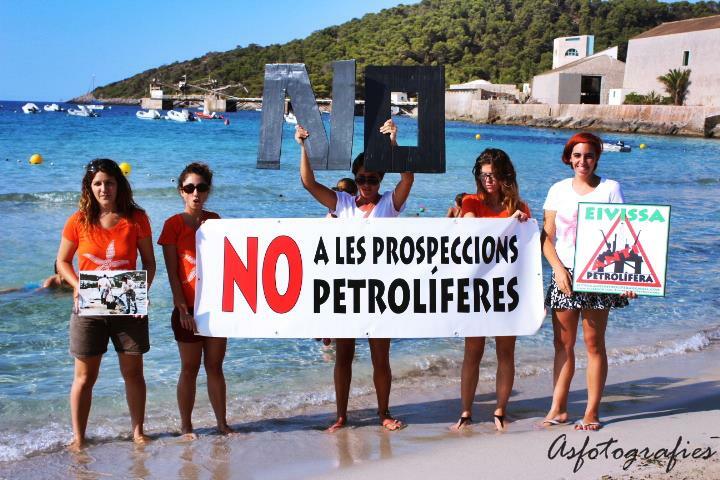 Photo credits: our thanks to Ibiza Anti-Petrolífera for giving permission to publish their photos. Everyone knows that Ibiza is one of the best places to party on the planet. There’s world famous clubs on every corner and every summer the most respected DJs and performers flood the island every night. It’s just a given that you have got the night time sorted, but here is my guide to making the most out of your Ibiza days. This might not sound like making the most out your day, but sleep in till early afternoon. It’s worth it, trust me. You can sleep off last night and save your energy for the day ahead. The sun doesn’t go down till around 10pm so you have got plenty of time to have fun in the sun. You need to utilize the many amazing outdoor venues on the island during the day. It’s no coincidence that Café Mambo has stayed so popular for all this time. With amazing views of the sea and an excellent music policy, Mambo is a great place to soak up the laid-back atmosphere of Ibiza in full. The sunsets here are unreal! Blue Marlin, in the beautiful Cala Jondal Bay in the southwest of the Island, is a really stylish beach club where you can eat, swim, drink or catch some really cool music. Blue Marlin do some great warm-up events for the big club nights. You’ll often find the DJs for that night doing some pretty spectacular warm-up sets where they get to play all sorts of tunes. The sushi is amazing there and their cocktails are out of this world! Destino, the new resort that Pacha have built, is incredible too. Typically for Pacha, it is seriously stylish and luxurious. Located in its own little tucked away corner of the island on the cliff tops of Cap Martinet, the view is mega. You get a panoramic view of the Mediterranean, Dalt Vila and Formentera. The pool is the real showstopper though. It’s huge, a really modern shape, surrounded by palm trees and with a big Jacuzzi in the middle. There really is no better place to stay than here – it’s immense. If you want to get away from the hotel for a bit, then start beach hunting on a map of the island. There are so many hidden gems in Ibiza; if you keep searching for new beaches you will come across small, idyllic beaches with which you will instantly fall in love. One of my favourites is Cala Gracio, I call it ‘the littlest beach in the world.’ It’s this properly secluded beach that feels like your own personal piece of paradise. 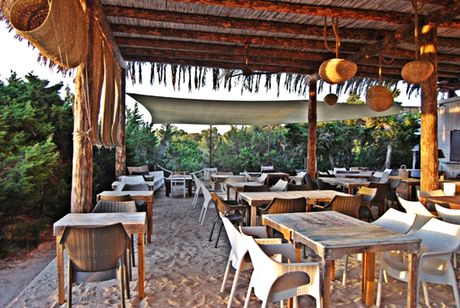 There is a fantastic restaurant there too, called El Chiringuito. You walk along the rocky coast for a few minutes and then head down this tiny, tree-lined pathway that leads up to the restaurant. Their paella is made with a ‘secret recipe’ and is quite possibly the best meal in Ibiza. As night starts to fall in Ibiza, thoughts inevitably turn to what club you are going to head to. Pacha, for me, sums up the ethos of the entire island; it’s iconic, stylish and relaxed but hedonistic with a phenomenal soundsystem. I have been privileged enough to play there many times over the years and I am immensely excited to be bringing my own party to Pacha for the first time this summer. It will be happening on eight Mondays from the start of July until the end of September. I’ll be inviting all my Dirty Dutch crew along, people like Gregori Klosmann, GlowInTheDark and Betratraxx, plus some massive guests throughout the summer. We’ll be bringing Amsterdam to Ibiza and showing the island what Dirty Dutch is all about. It promises to be the best summer yet and I can’t wait to see as many of you there as possible!